These are the pieces that I thought would best suit the 30-somethings out there. I think each piece is perfect for where ever you need to go - I've got them all here! 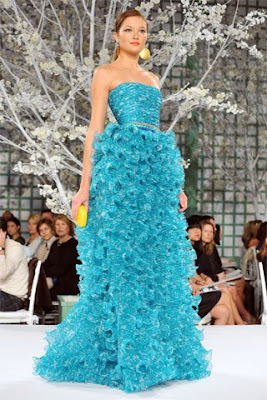 I found myself drawn to Oscar de la Renta for the majority of my inspiration for these posts - especially for the 30-somethings post. At this age, it's important to remember your youthfulnees, yet begin wearing pieces that are more fitted and tailored to showing off your figure. It's important to be taken seriously in every outfit you wear, and with these pieces, they are fun and ecclectic, yet are still perfect for transitional pieces. You can wear them to the office and then to happy hour at the pub across town. Or you can wear it to a luncheon and then out shopping. They are still young looking, but with a more serious point-of-view - which we can all use a little of in the corporate world these days.